CertainTeed warrants to the original homeowner/consumer that its Bufftech vinyl fence products will be free from manufacturing defects-including peeling, flaking, blistering and corroding-when subject to normal and proper use. The warranty transfers to the new homeowner, which means your new fence is now an asset. 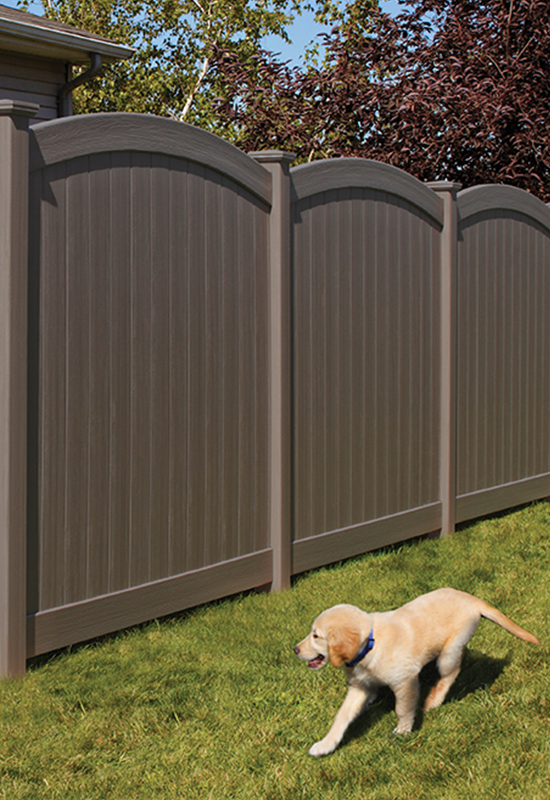 Chesterfield CertaGrain with a convex accent is a new privacy fence from Bufftech. This vinyl fence features a CertaGrain texture, giving it the appearance and texture of wood while carrying all the benefits of vinyl such as being splinter free. Using a good neighbor design, the Chesterfield Certagrain with a convex accent looks just as great on both sides of the fence. 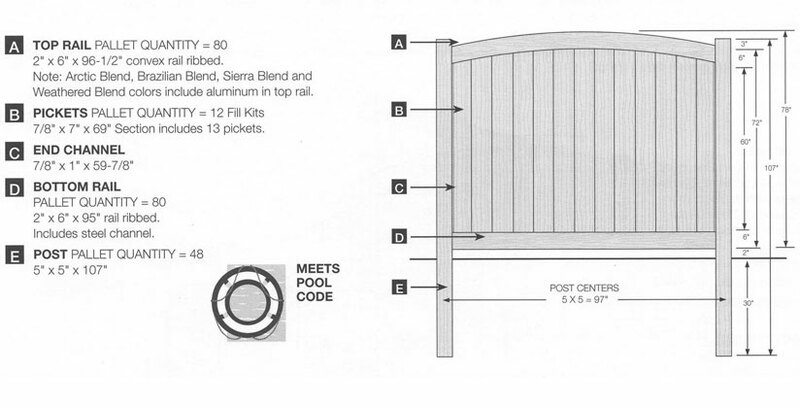 The convex accent provides an aesthetically pleasing arch in each fence section, giving it a really unique style. A gate is also available in a matching style with the Chesterfield CertaGrain Convex Gate with Victorian Accent.